Jacksonville, FL.- March 16, 2017: Unify Health Services proudly announces that industry veteran Gary Livingston, Ed.S., M.S., has joined their team as Director of Sales. In this role, Gary is responsible for working with Unify’s existing Leadership team to cultivate new partnerships, drive sales growth initiatives, and contribute in the areas of marketing and business strategy. “This is the ideal time for Gary to join our team as Unify Health Services is revolutionizing the definition of a network. Gary brings insight and a wealth of industry experience, which aligns with our vision. We welcome Gary and look forward to the positive impact that he will provide in driving our services to market.” – Kelly Ingram-Mitchell, President, Unify Health Services. 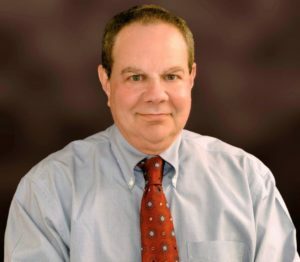 Livingston, former co-owner and Vice President of Solin USA Inc., a national case management and disability company brings over 30 years of experience in the health care and workers’ compensation industry. His broad background consists of roles in management, sales, operations, and risk management. Gary is respected as a reliable resource within the cost containment industry and has established countless long term relationships throughout the United States. In addition to his experience as Regional Manager for Concentra Managed Care (now Coventry), he also managed the National Telephonic Case Management Unit for Kemper Insurance. Gary was awarded Salesperson of the Year when employed with MDM Diagnostic Management. He began his career as a vocational case manager for the University of Miami Pain Program and then as a field case manager for Travelers Insurance Company. He holds both a Master’s of Science degree in Psychology from the University of Kentucky and an Educational Specialist degree in Counseling Psychology and Rehabilitation from the University of Missouri.